White Gloves is a regular column on the Poetry Center Blog showcasing items from the L.R. Benes Rare Book Room. The L.R. Benes Rare Book Room features artist books, first editions, chapbooks, and broadsides, among many other treasures of literary significance. These holdings are searchable in the Poetry Center catalog and may be viewed by the public upon request during our open hours, Monday through Friday. We're well known, as a poetry library, for our books. What might not immediately spring to mind, however, are books without words. 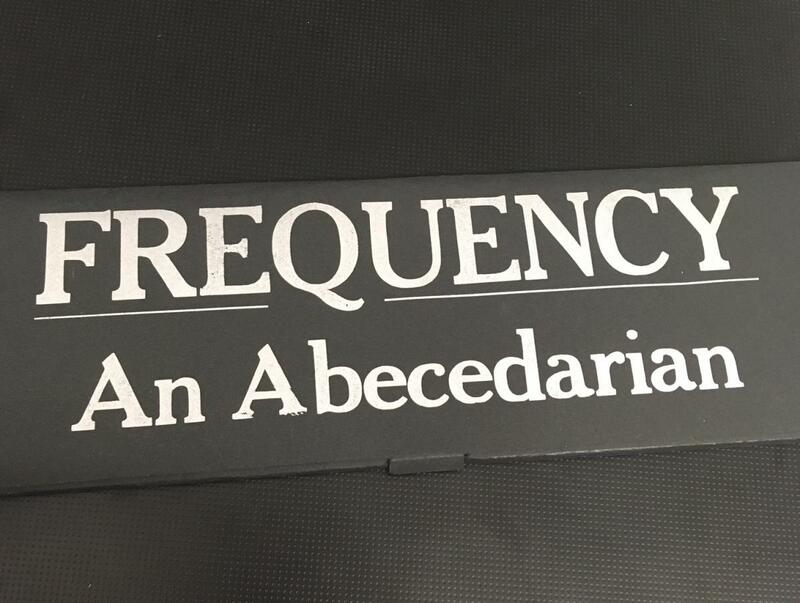 Enter: Frequency: An Abecedarian by Levi Sherman. According to the Academy of American Poets, "The abecedarian is an ancient poetic form guided by alphabetical order. Generally each line or stanza begins with the first letter of the alphabet and is followed by the successive letter, until the final letter is reached. The earliest examples are Semitic and often found in religious Hebrew poetry. The form was frequently used in ancient cultures for sacred compositions, such as prayers, hymns, and psalms." This book is neatly protected by a cardstock box, but when you open it, you may be surprised to find the book completely without words. Rather, black and white pages of various lengths are stacked. It's listed for sale at abecedarian gallery, which notes, "Each of the 26 pages, in alphabetic order, is a representation of the relative frequency of that letter in the English language. One percent is equal to one inch in length." 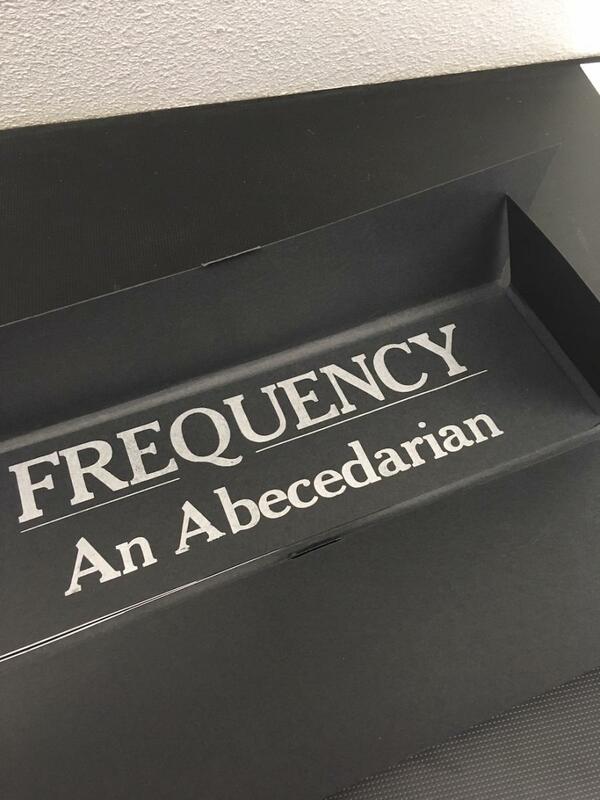 Sherman writes, "Frequency: An Abecedarian arose from my letterpress practice, though the book’s content is devoid of print. Abecedarians abound in the book arts world, but I wanted to see if a predictable structure could still surprise a reader. Inspired by setting metal type, I chose to represent the frequency of letters rather than their form. My approach to art often begins with a generative constraint, and this project was the result of a few such questions. Could blank pages have meaningful content? Could an abecedarian contain no letterforms? Ultimately, the predictability of the structure enabled readers to decode the book, giving me artistic freedom to stray from the typical abecedarian and subvert the expectations set by the book’s lavish letterpress printed cover. The book’s statistical data was taken from Wikipedia."